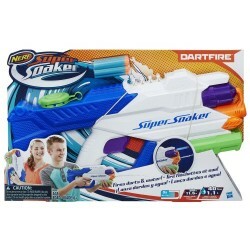 Drench targets with cannon-blasts of water from the Super Soaker Hydra water blaster! 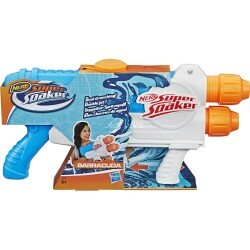 This monster means business with its intimidating size and a tank that holds up to 65 fluid ounces (1.9 liters). 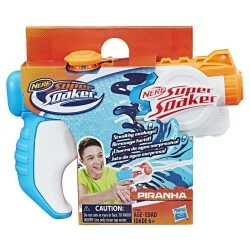 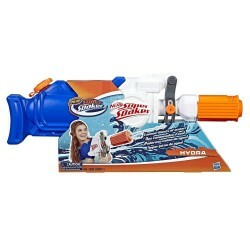 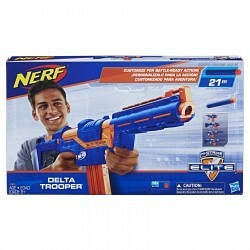 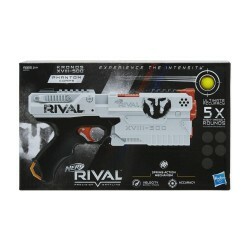 Move the handle back and forth to pour on powerful streams of water from this blue and white blaster. 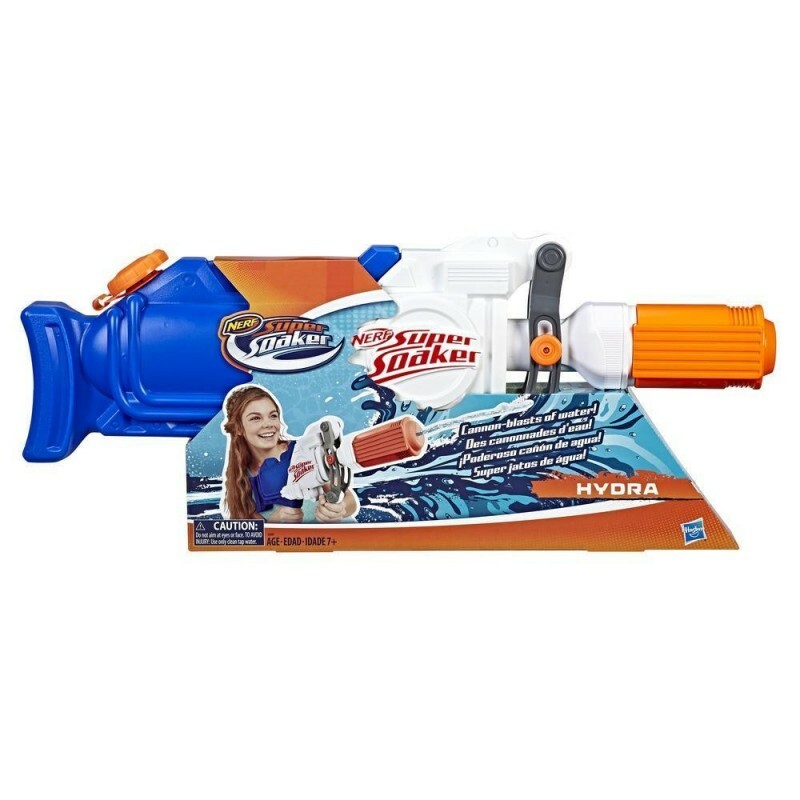 Deliver a decisive deluge at the next Super Soaker battle with the Hydra water blaster!